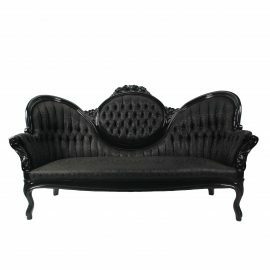 Tags: Hollywood Regency, Grey, modern, Silver, gunmetal, chair, metallic, victorian, lounge. 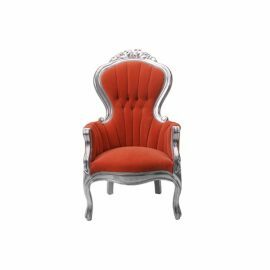 The handsome Victoria II Chair is statuesque armchair that has both Victorian and Edwardian influences. 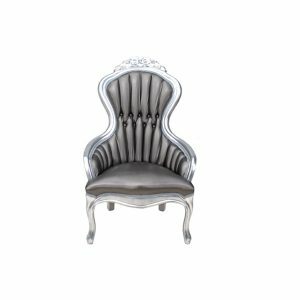 Gunmetal grey metallic textured vinyl upholstery covers the Victoria II Chair from top to bottom creating a cohesive look of luxury and class. 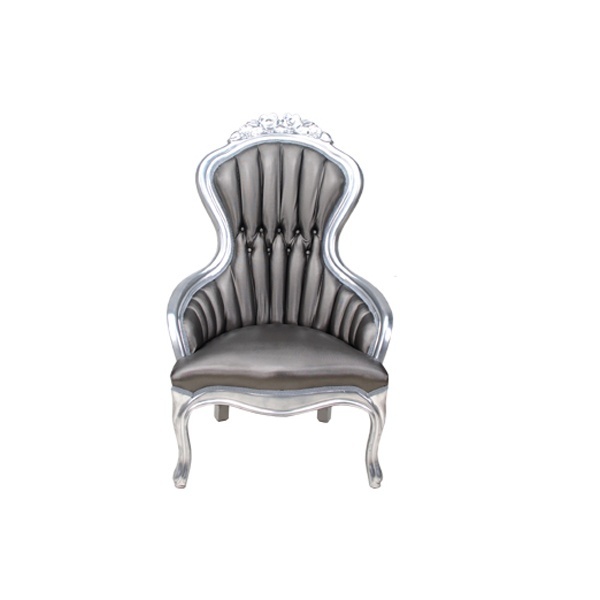 The intricate carved wood frame is coated in a complimentary silver metallic paint. 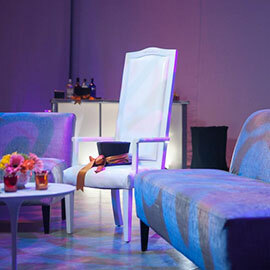 Our collection of chairs may be rented for any event. 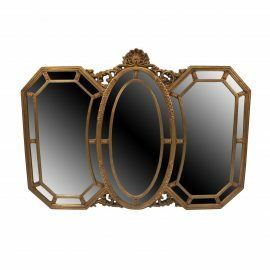 FormDecor delivers in Los Angeles as well as Southern California. We do ship nationwide via trusted carriers.